Obituary – Bolay, Clayton John « Perry High School Alumni Association, Inc.
F.F.A. ’46-’48; D.E. Club ’49-’50. Clayton John Bolay, 83, passed away on Monday, February 1, 2016 at Cox Hospital in Springfield, Missouri. Graveside services will be held at 10 a.m. on Thursday, February 4, 2016 at Grace Hill Cemetery, Perry, Oklahoma under the direction of Palmer Marler Funeral Home, Perry, Oklahoma. Clayton was born on August 5, 1932 in Orlando, Oklahoma to Dennis and Katherine “Kate” (Pfeiffer) Bolay. 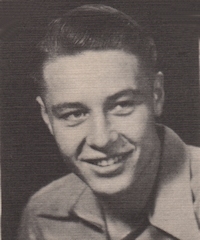 He grew up in the Orlando, Billings, and Perry area before graduating from Perry High School in 1950. 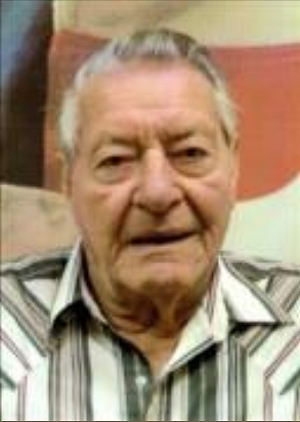 Clayton joined the U.S. Army on December 8, 1952 and served till April 16, 1954. He then transferred to the Army National Guard where he served until November 30, 1960. After leaving the service he worked for his brother. No job was too large or too small. Wherever he was needed, he helped out. He married Bonnita Nida at the Lucien Methodist Church and had two children with her, Ted and Teresa. Clayton enjoyed fishing. He was a man who enjoyed working which he did into his eighties. Visits from his grandchildren were special and he always kept a cold drink and snack for them. He was a quiet, simple man who loved his family and enjoyed anything they were involved in. Survivors include his children Ted Bolay and wife Tammy of Perry, Oklahoma; Teresa Upchurch and husband Bobby of Monett, Missouri; grandchildren Meagan Hulet and husband Travis, Missy Groom and husband Taylor, Brannon Bolay, all of Perry, Oklahoma; Katie Meier and husband Lucas, Bonnie Upchurch both of Monett, Missouri; Bailey Parmley and husband Kyle of Ames, Iowa; great grandchildren Lee and Langston Hulet; sister in law Connie Bolay; niece Denese Stanley; two nephews Dennis and Sidney Bolay. He was preceded in death by his parents Dennis and Kate Bolay; a brother Clovis Bolay and his wife Jean; and his twin brother Clinton Bolay. The family requests memorials be made in Clayton’s name to the Mt. Vernon’s Veterans Home, in care of Palmer Marler Funeral Home of Perry, 203 E. Fir, Perry, OK 73077.